If your decor is feeling blah and drab after updating to a new home and bringing all of your old furniture with you don’t start hauling it to the dump just yet! You don’t have to toss everything out and start over to get a fresh new look. Instead, incorporating a new trend or two can instantly change the look and feel of any room. Spa bathroom - Creating a spa-like atmosphere is at the top of everyone’s wish list, or so it seems. Items like cedarwood bath “mats”, rebottling products into beautiful bottles, and hanging eucalyptus and lavender are being pinned like crazy. Classics like wicker baskets, rolling up towels for display and bathtub caddies are still making their rounds. These are a great way to mix timeless elements with trending ones for a bathroom look that transcends time or at least not for the next year or two. Sage - The color sage has won its standing in the neutral category. Use this shade to add tints of color to an otherwise neutral to the point of a sterile room. Kitchen cabinets, bathroom walls, living room walls are all popular canvases for this popular shade. Keep the trend modern by pairing it up with light pinks, taupes, creams, and denim blues. If you aren’t ready to commit to a paint color bring it in with accents via throw pillows, jars, and even the plant itself! Big wall art - Big wall art is in and in a big way. Quickly replacing gallery walls canvases that stretch from floor to ceiling or a good ⅔ of the wall big art is taking over Pinner’s boards by storm. Abstract pieces primarily in black and white seem to be the most popular when placed against a wall painted with a pop of color. However, don’t let this stop you from reach for a piece you love that is full of color! The key to this look is to avoid generic prints. If you’d like to make it personal blow up a more artistic shot from your wedding or have the kiddos make you a custom piece for a craft project. Patterned plants - Greenery that comes in stripes, spots and varying shades are cropping up on Pinner’s boards everywhere. Plants bring life and freshness to a room so why not also make them pull their weight be adding visual interest to boot? Popular varieties are prayer plants, calathea, snake plants, philodendron, and pothos. Mix and match varieties to make a true statement. Colorful doors - Goodbye boring white doors! Colors like school bus yellow, blush pink, bright and cobalt blue are popping up on Pinterest boards everywhere. Go bold with yellow. Create a welcoming sanctuary with lavender. Create a home, sweet home with blush pink. And welcome guests with open arms with cobalt blue. I have been in the Property Development business across Colorado for 15 successful years and will be here for many more. This longevity and confidence comes from my expertise in the industry, knowlege to find exactly what my clients are looking for, effective communication and a team of professionals to get the job done. More importantly, the recommendations my clients give to others result in repeated referral business that keeps me productive and successful. As a full service Arvada, Broomfield, Denver, Federal Heights, Golden, Thornton, Wheat Ridge, Westminster, Northglenn, and Commerce City real estate professional, I work with buyers, sellers and investors in real estate transactions spanning all of the price ranges and property types. Multi–family – Investors are great clients for me. Multi–family properties are a very unique market. The detailed return on investment and valuation calculations investors need to evaluate properties for rental are second nature to me. Commercial – Whether it’s a shopping mall, a small office building or a restaurant space, I'm your commercial property specialist. Contact me for your commercial property needs in the Arvada, Broomfield, Denver, Federal Heights, Golden, Thornton, Wheat Ridge, Westminster, Northglenn, and Commerce City real estate markets. Vacant Land – Land is a very special property class. It’s relatively easy to show a gourmet cook a wonderful commercial kitchen in a home and see their eyes light up. It’s more of a challenge to help a buyer or seller to realize the potential in a piece of land. I'm the best at it in the Arvada, Broomfield, Denver, Federal Heights, Golden, Thornton, Wheat Ridge, Westminster, Northglenn, and Commerce City real estate markets. Call me at 303-668-4390 or email me to start a discussion of your needs. Or, fill out this quick form and tell me about your property interests and an overview of your needs. 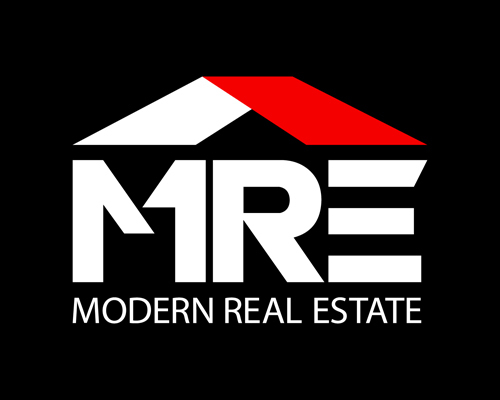 The content relating to real estate for sale in this Web site comes in part from the Internet Data eXchange (“IDX”) program of METROLIST, INC., DBA RECOLORADO® Real estate listings held by brokers other than Modern Real Estate are marked with the IDX Logo. This information is being provided for the consumers’ personal, non-commercial use and may not be used for any other purpose. All information subject to change and should be independently verified.